In January 2014, the external assets and external liabilities of the Bank of Lithuania increased by 333 million litas and 202.1 million litas, respectively, the Bank of Lithuania said in a statement, cites LETA. At the end of the month these indicators were equal to 21.1 billion litas and 271.9 million litas, respectively. 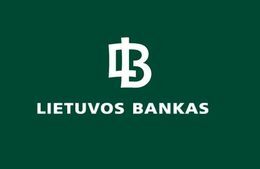 Deposits of residents with the Bank of Lithuania went up in January by 403.8 million litas to 7.3 billion litas at the end of the month. Central government deposits increased by two billion litas, while deposits of other monetary financial institutions (MFIs) contracted by 1.7 billion litas. At the end of January, central government deposits and deposits of other MFIs totaled 3.8 billion litas and 3.4 billion litas correspondingly. Currency in circulation decreased in January by 308.8 million litas to 11.6 billion litas at the end of the month, and capital and reserves went up by 37.9 million litas to 1.8 billion litas at the end of January.